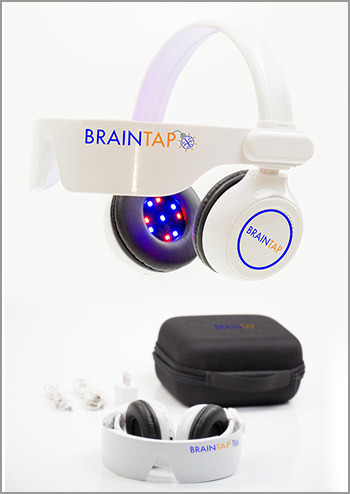 Brain Tap is a powerfully effective mind development tool designed to help you overcome the ill effects of the fight-or-flight response while achieving physical, mental, and emotional balance. Whether you want to overcome stress eating, conquer a bad habit, instill a positive mindset, advance your career, master a sport, enhance learning, write the Great American Novel, get your body super fit, or simply regain your health and vitality, BrainTap is for you! Learn more at BrainTap Technologies. BrainTap – $495.00 with 30-day full library, then select subscription, or enjoy access to a limited library at no additional charge. Subscription may be purchased at BrainTap Technologies.